Our third day on the cruise was very relaxing. I woke up early to get a fitness analysis at the ship's gym. I found out my metabolism is pretty fast: I burn about 1400 calories a day if I do absolutely nothing. No wonder I eat so much! Then I went to the ship's movie theater to watch Toy Story 3 in 3D. Later in the day sister CJ and I got a couple's massage at the ship's spa. It was a great experience and was extremely relaxing, I just wish they didn't try to sell us oils at the end of it. The evening show and dinner were the best part of the day. 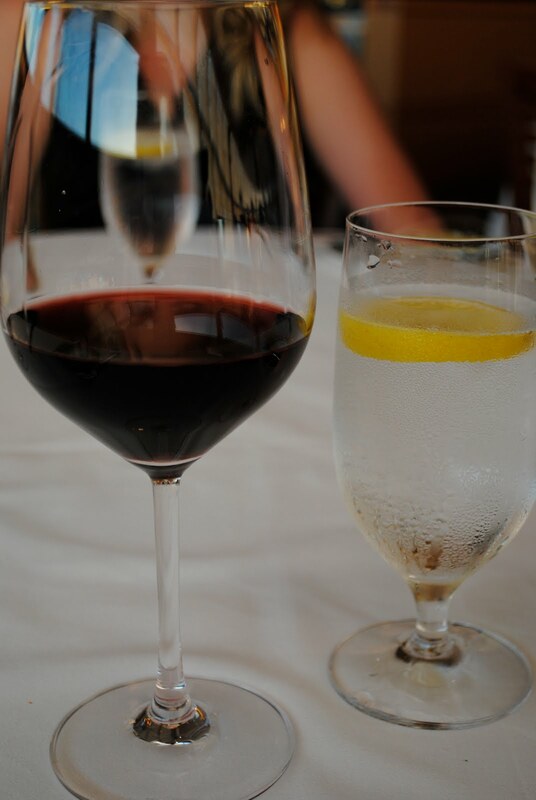 We opted out of our regular dining plan in order to enjoy the ship's adult-only restaurant, Palo, on the top deck. 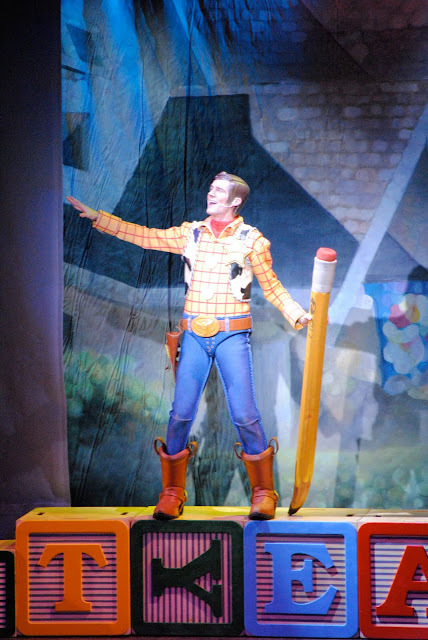 But before going to dinner we enjoyed the Toy Story show in the Walt Disney Theatre. The show was amazing. All of the characters were huge. I can't believe they were able to keep that many giant costumes and props on board a cruise ship! Although the show was great, dinner was even better! Palo was by far the best meal we had on the entire trip. It was a five course meal where the food never stopped coming. Just the way I like it. Mom and Dad let me order some red wine with my dinner. We split a pizza as an appetizer! Then I had this unbelievable shrimp and asparagus salad. My mom had a tomato and mozzarella salad. The mozzarella is hiding under the tomato. 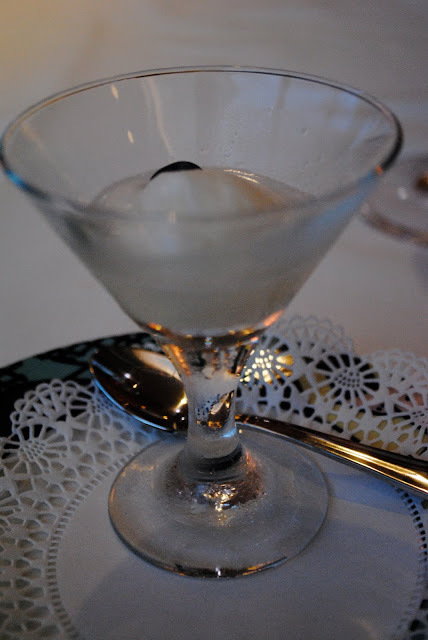 After our appetizers we all received a lemon sorbet palate cleanser. I had delicious Osso Buco for dinner. It was beyond tender. No knife necessary! My mom had filet mignon. Then for dessert we each had a chocolate souffle. It was amazing! Happy Friday! Best wishes for the weekend! Wow. This looks like a great time. I had to read it twice to make sure I read correctly: this was on a cruise?!? The whole Toy Story thing is unbelievable!! I would have loved to partake of that meal...only they would have had to wheel me off afterward because I'd have been stuffed. Every single part looked delectable! !